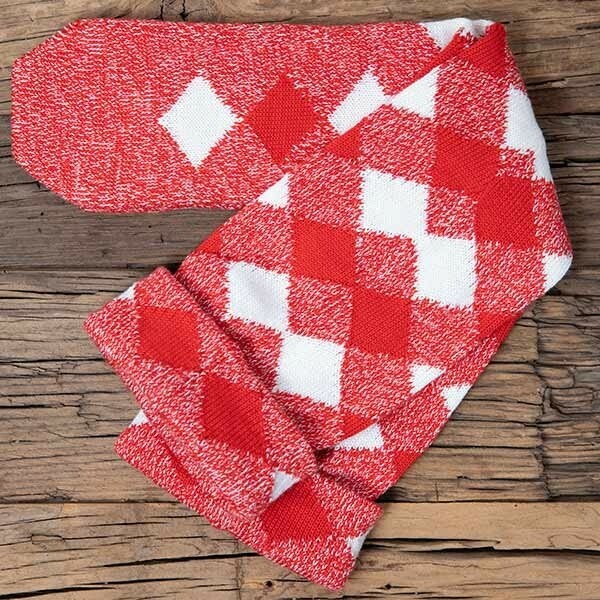 These diced hose are knit in Scotland and come in 2 colors. Black & Red or White & Red. 1. Length of the foot (while standing) from heel to toe. You must be standing when taking this measurement as putting your body weight on your feet will cause the length of your foot to change by about 1/4 to 1/2". 2. The height from the floor under your heel to the top of where you want to wear the hose. Typically, the hose are worn (turned down) 2" to 3" below the kneecap. 3. The circumference of your calf at the widest point. This is usually 5" to 6" below your kneecap. 4. The circumference of your ankle at the skinniest point. 5. The circumference of the ball of your foot (while standing). As in measurement 1, this must be taken while standing as putting your body weight on your foot expends this measurement a bit. I cannot even begin to express how happy I am with these hose. The fit, the color, everything about them is stunning! 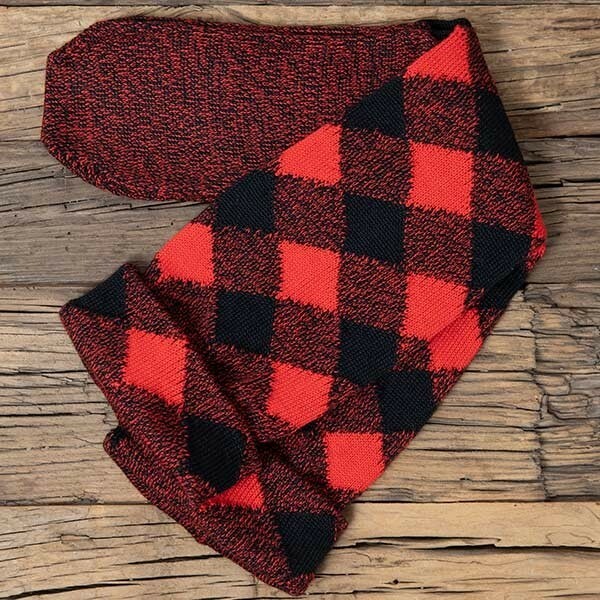 Don't have any doubts about buying a pair of these beauties! As for the guy who said these were a looser weave than he expected; I don't see how. The weave is nice and tight and the pattern from the folded over hose top even matches perfectly with the part under the fold. Your own custom hose for only one hundred dollars! I ordered red and white diced hose to wear with my black watch kilt. With this hose and kilt combination, I can wear the hose for everything except the most casual day usage. It has become my favourite pair of hose. With short wide feet, and shorter lower leg but thick calf from years of lifting at work, it is a joy to have hose that are made to fit. The best thing is coming home at the end of the night and not finding compression marks on the leg. I am as tight-fisted as they come. And I was a little hesitant when dropping a C note on a pair of hose for my 6 year old daughter. But they were just perfect in every way; color/size/fit and durability. 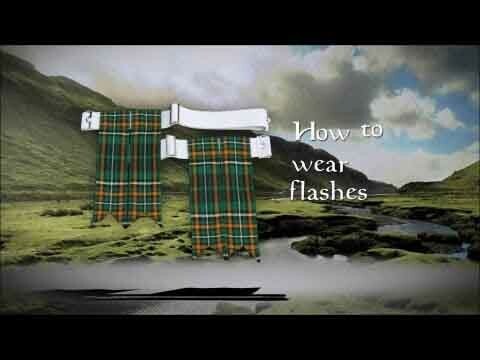 I have a piece of advise for anyone purchasing good quality (wool) kilt hose. Think of them as hair...which they are. My group is instructed to hand-wash their hose in a good-quality shampoo, then use conditioner, and hang dry. Apparently, it works. I still have hose from when I started 33 years ago; and soft as a baby's bottom! 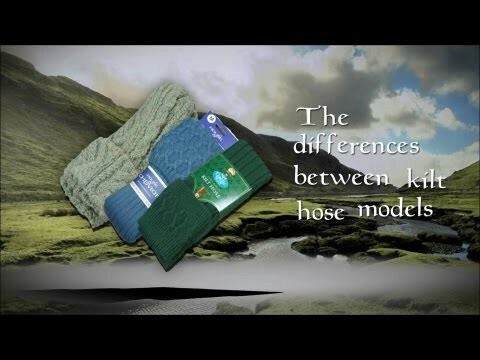 These hose are custom knit here in the US, to your color requirements and to your custom measurements. They take typically 6 to 8 weeks to ship from the date your order is placed.